A Leicestershire-based bakery business has invested £15 million to quadruple production capacity at its state-of-the-art Glenfield facility. 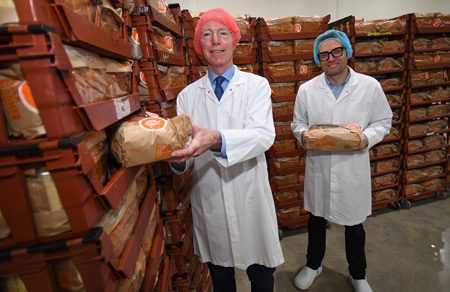 The investment comes after Geary’s Bakeries secured a major contract with one of the UK’s largest supermarkets to supply its craft bread. Now producing in excess of 25 million loaves, the Leicestershire business has needed to expand its production footprint. The company said the extra capacity will allow it to “quadruple their present output” in time. The investment was facilitated with the support and assistance of chartered accountants Newby Castleman. Jason Geary, Managing Director of Geary’s Bakeries, said: “We are very excited about the move to our new facility in Glenfield, which presents us with the chance to achieve further growth and build on our first-class reputation.